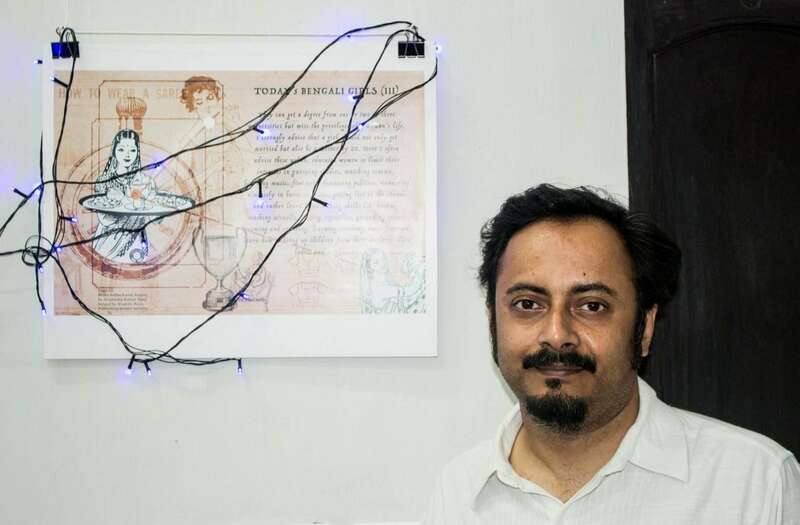 Born in Delhi, Now he is a graphic novelist and cartoonist. He is the author of the book ‘Delhi Calm’ (2010).He is the principal designer at inverted Commas, a communications collective specialising in social communications. In 2015 he got fellowship from India Foundation for the Arts (IFA). He has composed a project with the collaboration of IFA & Centre for Studies in Social Sciences, Calcutta (CSSSC) named ‘Bengal Spring/ Winter Sun’ According to him spring in a Bengalis life is like Winter Sun,Sets as soon as it rises. Here Spring denotes Yauvan, Jawaani, Manhood, Youth and Puberty. In this project he worked on the writings of Nripendra Kumar Basu (1898-1979) and tried to reinterpret the writings in a visual art form in the 21st century.